Scrub typhus is the deadly fever caused by the bacterium Orientia tsutsugamushi identified in 1930 from the rural areas of Japan. It is also known as Bush typhus and the transmitting agent is a Mite belonging to the group Trombiculid particularly the species Leptotrobidium deliense inhabiting the areas having scrub vegetation. Bite of the mite leaves a black spot on the skin which is the useful marking for the identification of Scrub typhus infection. One of my readers is always concerned about the availability of some components used in my circuits. Even though new makes are releasing continuously, the old makes are still in the market. Indian electronics market is rich in new as well as old components and the old one cannot be considered as obsolete. Substitutes are also easily available. We cannot argue if the component is not available in one country since the availability and use varies in different regions. A wise designer can easily substitute a component if the make shown in the circuit is not available. 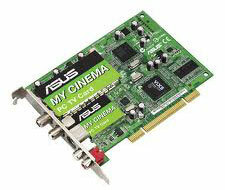 TV Tuner card helps to see the Television programmes in a Computer or Laptop. TV tuner card is basically a video capture circuit allowing the user to see the TV programmes in PC monitor and to record the same in hard disk.